Action: Instantly moisturizes and soothes the skin after shaving, gives the skin elasticity, has wound-healing, anti-inflammatory, refreshing, regenerating effect, increases blood circulation, effectively rejuvenates, prevents aging. ..
Action: It acts directly against wrinkles, improves skin elasticity, eliminates wrinkles and prevents appearance of the new ones, supports optimal level of moisture in the skin cells throughout the day, has a complex regenerative effect by res..
Action: It helps to prevent loss of moisture from the skin, nourishes it. It acts as a barrier against the weather. It speeds healthy cell renewal, prevents the signs of early skin ageing. Ingredients: Bee wax, Almond oil, Olive oil, infused wit..
Action: It speeds healthy cell renewal, facilitates granulation tissue formation, moisturizes, helps to prevent loss of moisture from the skin, increases blood microcirculation, rejuvenates the skin. Ingredients: Bee wax, Olive oil, Coconut oil,..
Action: Is a good UV rays protector. Moisturizes effectively, helps to prevent loss of moisture from the skin. Speeds skin regeneration and healthy sell renewal if sunburn occurs. Ingredients: Bee wax, Sea buckthorn oil, Olive oil, Coconut oil, ..
Action: Regenerates the skin, facilitates granulation tissue formation, keeps the skin moisturized, increases blood microcirculation, helps to delay the effects of skin ageing. Has small lightening effect. Ingredients: Water, Aloe Vera leaves, B..
Action: It nourishes, protects, strengthens and rejuvenates damaged hair. Activates scalp circulation, makes dull and damaged hair shiny again. Ingredients: Olive oil infused with Aloe Vera (Aloe Barbadensis), essential oils of: Cedar, Rose..
Action: Encrease breast tone, enhances collagen synthesis, supports skin elasticity, stimulates blood circulation, strengthens the walls of subcutaneous capillaries Corrects "stretching" and prevents their appearance, gives the skin ..
Action: Heals the wounds, ceases the inflammation. It is a good antiseptic, refreshes and regenerates the skin. Rejuvenates and helps to delay the effects of skin ageing. Ingredients: Water, Aloe Vera leaves, essential oil of Patchouli, Red bilb..
Action: It has good antibacterial and anti-inflammatory properties on your scalp. Increases blood microcirculation and stops hair fall. Ingredients: Birch Tar, Weight: 130 gr (+ – 5 gr). Does not contain: colorants,..
Action: It improves the microcirculation and has a pronounced action against puffiness and dark circles, stimulates the production of collagen, improves skin tone and elasticity of the delicate skin around eyes, restores epidermis, making the ..
Action: Helps to balance skin moisture, stimulates skin regeneration. It has good anti-oxidant and anti-ageing properties, helps to regulate sebaceous activity, prevents skin inflammation processes. Ingredients: Bee wax, Raisin-seed oil, Olive o..
Action: It has good antiseptic and anti-inflammatory properties, speeds up sculp cells regeneration, and hair bulbs renewal. Encourages hair growth, reduces hair fall. It moisturizes, makes hair shining and ease hair styling. It is a good UV-rays p..
Action: Repairs damaged hair, reduces scalp irritation. It has good antibacterial and antifungal properties. Ingredients: Water, Stinging nettle, Thuja occidentalis, Hedera colchica, Common Juniper. 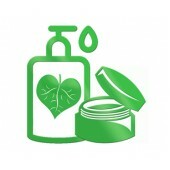 Suggested use: mix 80 ml of balm with ..
Action: Nourishes and moisturizes the skin, it is a good tonic. Improves the resilience of the skin, firms contours, reduces swelling. Prevents the signs of early skin ageing, refines the complexion, gives the skin a firm and smooth appearance. ..
Action: Has gentle lightening action, moisturizes and nourishes the skin. Helps to regenerate skin protecting property, relieves skin flaking and dryness, prevents the signs of early skin ageing. Helps to balance skin moisture. It is a vitamin enri..
Action: It has anti-inflammatory and antifungal effect. It speeds up healthy cell renewal, relieves allergy symptoms, Eliminates germs: Staphylococcus aureus, Alpha-hemolytic streptococcus, Pseudomonas aeruginosa, etc. It heals the wounds, relieves..
Action: It is a super anti-oxidant, moisturizes, nourishes. Stress relief, activates blood and lymph circulation in subcutaneous fat layer, reduces the appearance of cellulite. It gives good sliding effect, nourishes the skin for a long time, it is..